By buying this product you can collect up to 7714 bonuspoints. Ånglok med tender klass 18 505 typ DB, loket har mfx+ digitaldekoder och ljudmodul, högeffektsdrivning, drivning på 3 axlar, slirskydd, mestadels i metall, loket har fabriksmonterad röksats, ljusväxling i färdriktningen, underhållsfria LED lampor, längd över buffertar 26,4 cm, epok III, figurer medföljer. Passande personvagnar hittas under 43279. 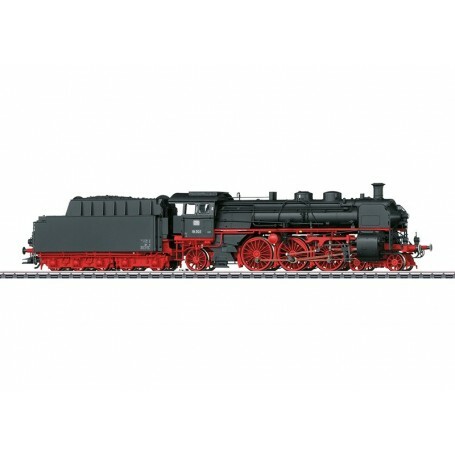 Model: The locomotive has a new mfx+ digital decoder and extensive sound functions. It also has controlled high-efficiency propulsion with a flywheel, mounted in the boiler. 3 axles powered. Traction tires. The locomotive and tender are constructed chiefly of metal. The locomotive has a factory-installed 72270 smoke unit. Triple headlights change over with the direction of travel. They and the built-in smoke unit will work in conventional operation and can be controlled digitally. In addition, the cab lighting and the firebox flickering can be controlled digitally. Maintenance-free LEDs are used for the lighting. There is a close coupling with a guide mechanism between the locomotive and tender. The back of the tender has an NEM pocket with a close coupler and a guide mechanism. 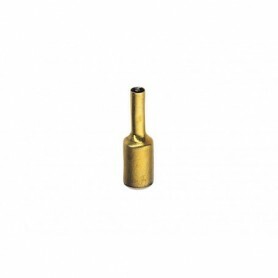 The minimum radius for operation is 360 mm / 14-3/16'. Protective piston rod sleeves, brake hoses, and figures of an engineer and a fireman are included. Length over the buffers 26.4 cm / 10-3/8'. An express train passenger car set to go with this locomotive is offered under item number 43279. One-time series. This model can be found in a DC version in the Trix H0 assortment under item number 22884. This model can be found in a DC version in the Trix H0 assortment under item number 22884.